Amazon is the single largest online marketplace for, well, anything. With nearly 50% of all sales online taking place on Amazon, if you’re not listed there you’re missing out. But you know this, and you’ve done all the work needed to create top-notch listings for your products. You have the best pictures, the best copy, and tons of five star reviews. You’re the top organic result for high volume keywords. Everything seems great. Until you realize you’re actually the 11th product displayed on the search engine results page (SERP). How is that possible? That’s the SERP for “charging cables” on Amazon. The first four rows of product are some form of advertising or a merchandising option only available to Amazon private label brands. Those red and orange boxes are the “fold” lines. The red box (above the fold) shows a product banner ad and the first sponsored listing. The orange box (below the fold) shows the second sponsored product and a carousel of Amazon brands products that meet your search criteria. It isn’t until well below the fold that you get to organic results. 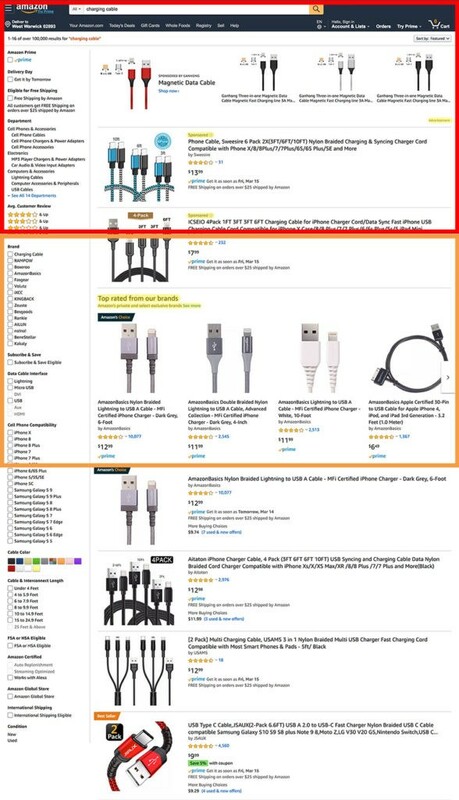 And, shockingly, the first organic result is the Amazon’s Choice AmazonBasics charging cable. Trying to compete on images, copy, reviews, keywords, etc. is hard enough. Now you’re buried 10–11 products deep because you didn’t advertise. Side note: the Amazon app is a little better — one banner and one sponsored product before the organic results. I’m not going to say you can’t have a successful business on Amazon without advertising, but it’s certainly not going to get any easier in the future. If you feel like I am wrong about this because you haven’t seen the effects yet, in reality, Amazon likely doesn’t care about your product category. They don’t see it as profitable enough, or haven’t found the right supplier. It is in no way, shape, or form because your brand scares them. It doesn’t matter if you’re a mom-and-pop or Proctor and Gamble, Amazon wants to provide the best customer experience to their customers and make the most money doing it. 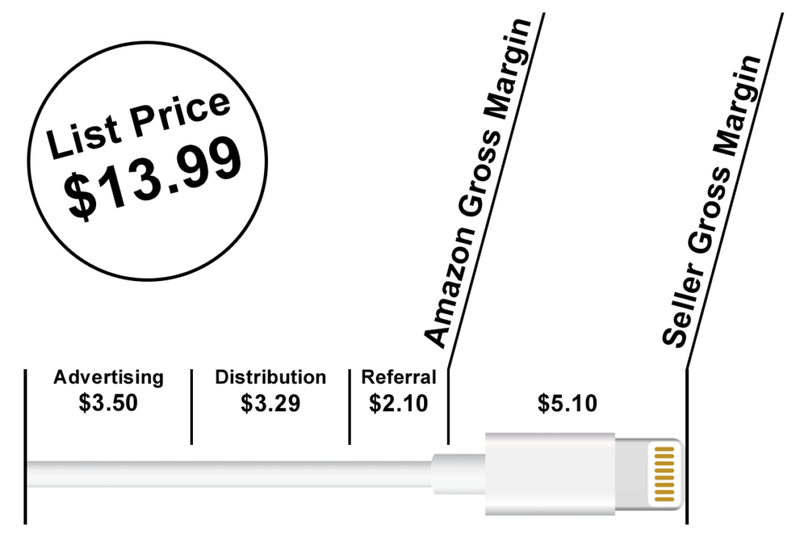 Advertising is pure profit for Amazon, which in this case comes out to 40% of their cut on the sale. On the other hand, the distribution and referral fees that they collect are there to cover the overhead costs that they incur. 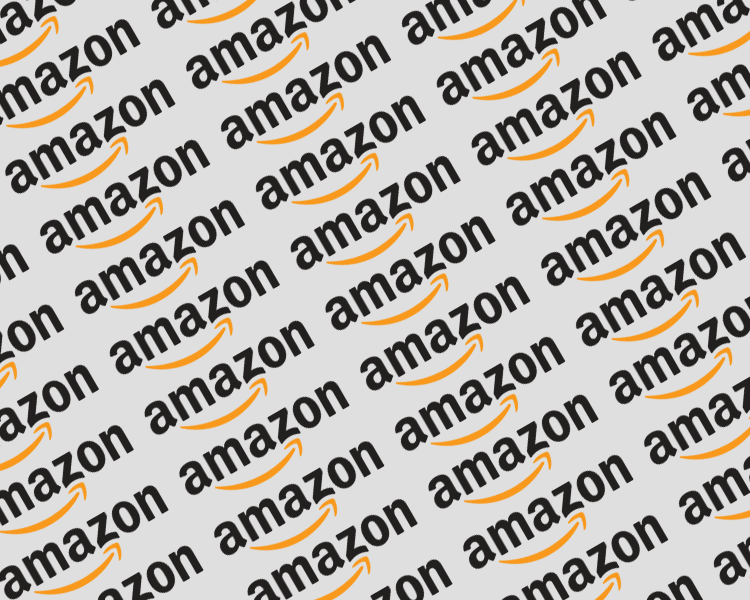 Is Amazon merchandising their SERPs to force sellers to advertise? Who’s to say. But this visual certainly underlines the importance of understanding how to effectively advertise on Amazon for when the time you need it inevitably comes. Originally published at Dan DeSimone.